Bannockburn House is a 17th Century A-listed mansion house, which has survived largely unchanged, apart from an added Victorian extension. The original part of the house was completed around 1675 by Sir Hugh Paterson, although it is believed it may be built on an earlier building called Drummonds’ Hall. Sir John Drummond was granted the Barony of Bannockburn in 1567 by Mary Queen of Scots and his Grandson built Drummonds’ Hall. The lands of Bannockburn then came into the hands of the Rollo family in 1636 with King Charles II granting the Baronetcy to Sir Andrew Rollo in 1651. He had supported Charles I during the English Civil war. Sir Hugh Paterson I purchased the lands in 1672 and the house was completed around 1675. Described by a specialist as a “rare survivor” of its time with many interesting architectural features. The main ones being the “Laigh Hall” and “Blue Room” ceilings reputed to be the work of Houlbert and Dunsterfield. Two highly skilled craftsmen who had been commissioned by Charles II to produce ornate ceilings within Holyrood Palace. The House has been occupied by many families of note in the area. Sir Hugh Paterson III was a Jacobite supporter who came out for James the VIII the “Old Pretender” in the 1715 rising. He forfeited his estate for this and spent some years in exile having fled abroad. The House was retained, and it is assumed his wife remained in residence there. He later received a pardon and returned home. His most notable guest was Charles Edward Stuart, Bonnie Prince Charlie in January 1746. The Prince had briefly visited and dined with Sir Hugh in September 1745 prior to his campaign march south ending at Derby. Bannockburn house was used by the Prince as his headquarters during the siege of Stirling and the battle of Falkirk. Sir Hugh’s niece Clementina Walkinshaw nursed the Prince when he fell ill during his time there. It was from here The Prince departed on his fateful journey north to Culloden. Clementina later joined him abroad and became the mother of his only acknowledged child Charlotte Duchess of Albany born 1753. Sir Hugh’s daughter Mary inherited the house on his death and it was sold to William Ramsay of Barnton and Sauchieburn in 1787. He was a Merchant Banker and a Director of the Royal Bank of Scotland. The house remained in the hands of the Ramsay family (later becoming the Ramsay Gibson Maitland’s through succession) until it was sold in 1883. However, the house was not used as the main residence of the Ramsays’ and it was occupied by different tenants throughout their ownership. Sir James Ramsay Gibson Maitland who inherited in 1876 was the founder of Howieton Fishery at Sauchieburn, one of the oldest fish farms in Scotland. As well as being a magistrate he was a pioneer in scientific aquaculture. Alexander Wilson purchased the house, having lived in it as a tenant for approximately 20 years. He undertook the building of a two-story extension to the rear of the house and some renovations in the main house. This included enlarging the Portico at the front and opening up the floor of the first floor drawing room making a gallery to show the original 17th century plasterwork ceiling. The Wilson family were prosperous mill owners who had built their weaving business in Bannockburn into the foremost tartan producers in the country. With workers cottages and mill buildings flanking the Bannock burn. They were responsible for the building of the Royal George Mill around 1822, naming it after King George V who famously visited Scotland in that year. This still stands to this day beside Telford Bridge and is home to the local Masonic Lodge. When Alexander Wilson (known locally as the Colonel) died in 1909 the House was sold to James Mitchell in 1910. James Mitchell was a Banker and Sheriff Substitute for Stirling. The family were from Airdrie having prominent connections there through his wife Annie Rankin and major interests in Coal mining. Sadly, only one child, his daughter Annie survived him. There were three sons, one died in infancy. James died due to injuries received in WW1 and David died in 1921. Both sons served their country in the Great War. James was promoted to Lt Col with the Argyll and Sutherland Highlanders in France and fatally wounded at the battle of Arras. He was recently commemorated on the Centenary of his death 1st April 2018 with the planting of a Laburnum tree in the grounds of the house. James senior passed away in 1923, his wife in 1928, leaving their daughter Annie to inherit the house and estate. Miss Mitchell continued to live in the house until 1960 and was active in the community and a benefactor of her church the Ladywell in Bannockburn. She laid the foundation stone for the new Church when it moved to the new Hillpark estate. This plaque can be seen in the entrance to the Church. The contents of the house were auctioned off in 1960 and she moved to live in a smaller property in Kings Park Stirling. The house was bought in 1962 by Albert Ernest Pickard who was a well-known eccentric millionaire and businessman. He was a self-made man who made his fortune from property and had owned many Music Halls in Glasgow including the famous Britannia Panopticon. Mr Pickard never lived in the house but a Caretaker and Housekeeper were employed to look after it. Mr Pickard sadly died in 1964 but the house was not sold by his family until 1979, to businessman Mr Peter Drake. Mr Drake did not reside in the house and used it mainly for storage, having interests elsewhere. In 2016, Mr Drake put the house and 26 acres of the lands on the market for sale. 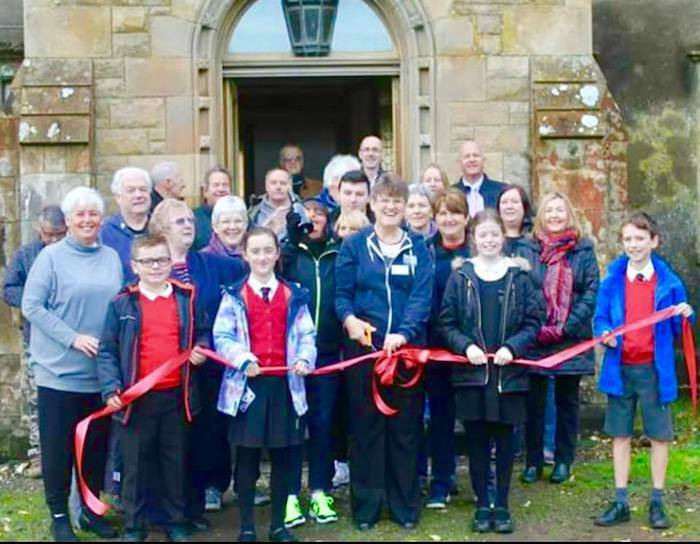 Bannockburn House Trust was formed in 2017 to try and raise the funds to purchase the house for the Community. The Trust secured sole rights to buy the house in April 2017 and began fundraising to do so. This was successful in November 2017 with help from public donations and grants through the Scottish Land Fund and Stirling Council. 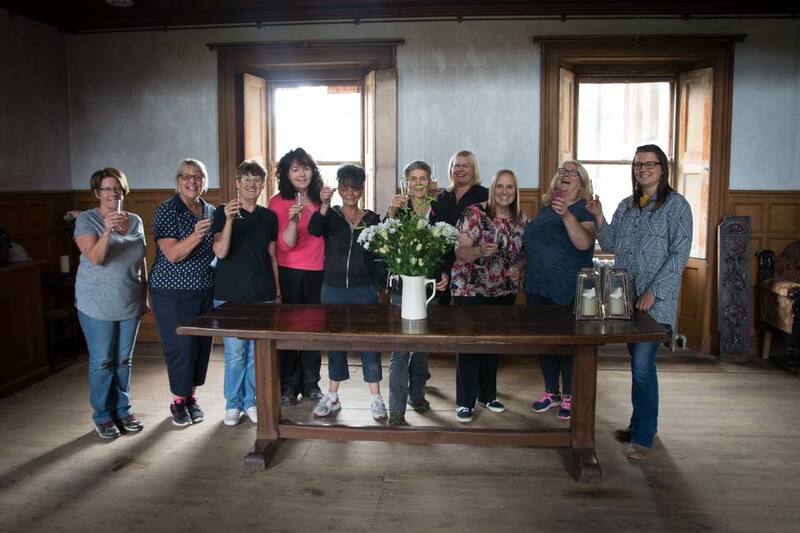 Bannockburn House is now fully in public hands. The purchase is the biggest community buy out of its kind in the UK. This was only made possible by all the hard work and support of a dedicated band of volunteers who have put their hearts and souls into the project.